Promoting contexts for change where equity, excellence and belonging can be realised. 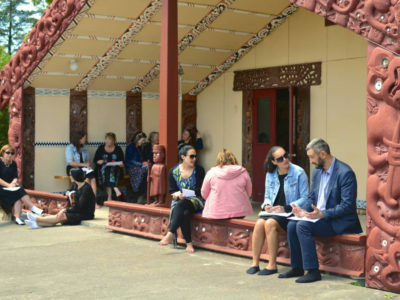 Our Invercargill Blended Learning whānau undertook their second wānanga at Murihiku Marae in March. 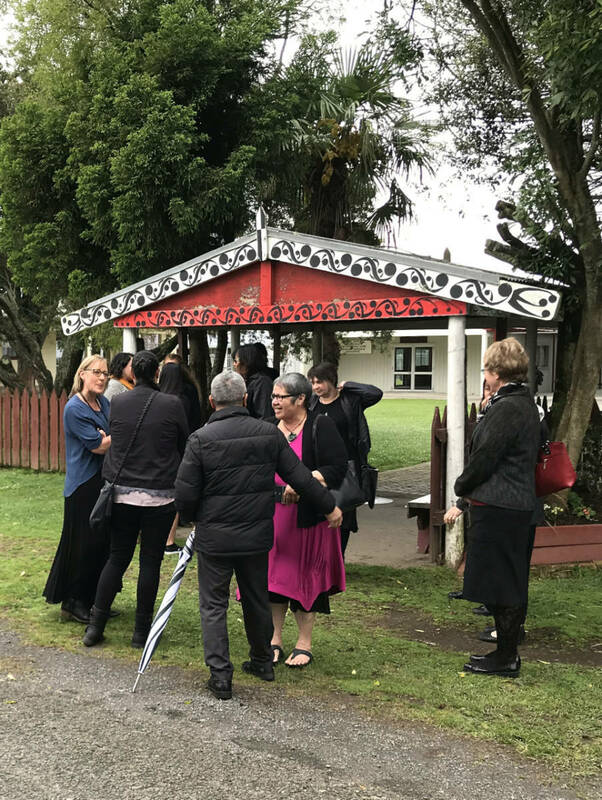 Also staying at the Marae was Victor Manawatu (Ngāti Kuri Ngāi Tahu) who was further developing the localised curriculum materials Murihiku offers schools in the rohe. He sent the following message to all those who participated. “I was fortunate enough to be on Murihiku marae when the Poutama Pounamu hui was being held. As an observer I was very interested in what the hui was about and listening to the teachers opinions and what they were hoping to get out of the two day workshop. “The topic around cultural responsiveness and attitudes around culture, language and identity were of particular interest to myself and the kaumatua. During the round table discussion our kaumatua thanked the teachers for their work and reiterated how impressed he was with their drive and willingness to look at working closer with all our learners. He was very pleased to be invited to listen to the kōrero and he is proud in what they are trying to do. He also thanked the facilitators for their wonderful work. I was very impressed with the honesty from each of the participants and the realization that they have the answers to the racism that is inherent in the country. Random racist comments that would normally be ignored are now being recognized for what they are and not passed off a joke. It is a small step in the right direction. True change starts from within and I noticed a lot of the teachers taking a good look at themselves. This was reflected in some of the discussions that I listened too and some of the groups that I was privileged to sit in with. The facilitators were very good in managing the discussions and allowed the teachers the freedom to express their opinions without fear of ridicule. Any professional development that assists in the understanding and needs of different ethnic groups has got to be good for the future of our children's education. There is too much false information and misunderstanding of ethnic minorities including Māori in this country which is why the terrorist attack at the mosque has the potential to happen again. Therese Ford will be known to many of you as a teacher, facilitator, researcher and writer. 2019 is her ninth year of being a trustee. 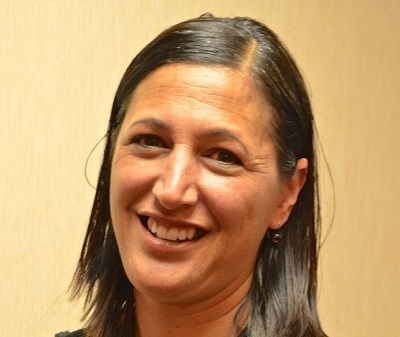 She has governed on a primary school board through three board elections and has now joined the board of trustees of a secondary school as her eldest daughter has began this phase of her schooling. “I have observed with interest the Tomorrow’s School review that was undertaken last year. I participated in one of the many focus group interviews and I have taken the time to read the full report that was published in December. I now reflect on my experiences from multiple perspectives. In doing so I am also hoping to expose some of the ‘myths’ and/or misinterpretations that I have encountered through media reports and in my conversations with school leaders. Such misinterpretations include inferences that the recommendations represent considerable risks which will disadvantage schools and the communities they serve. The Poutama Pounamu whānau are no strangers to the manaakitanga extended to them by Pukemokimoki Marae having been hosted here a number of times in recent years. Kaumatua Tiwana Aranui’s sharing of Ngāti Kahungunu history and taking time to connect us to the artwork in the whare kai was appreciated by all who attended. 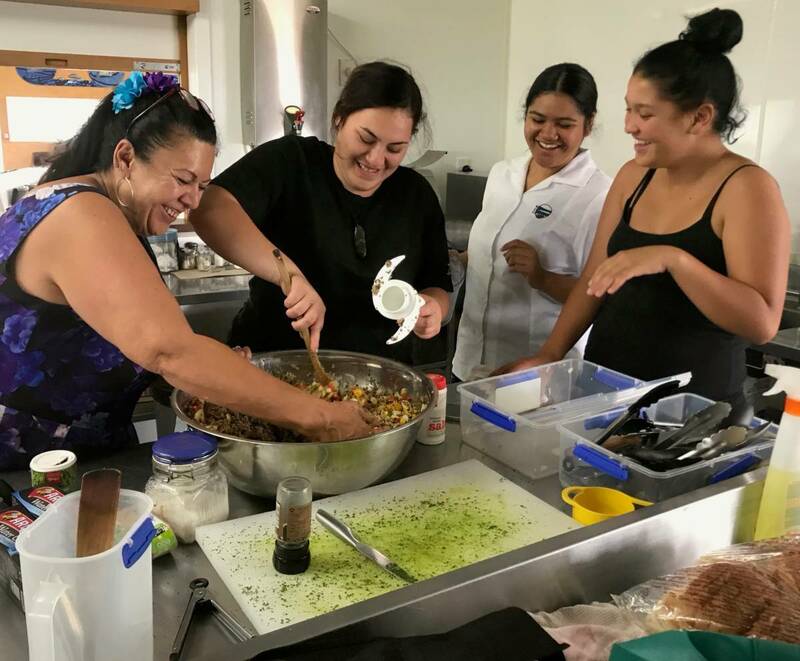 Something else that made this wānanga special was that the food that fueled our mahi was prepared and served by students from William Colenso College. 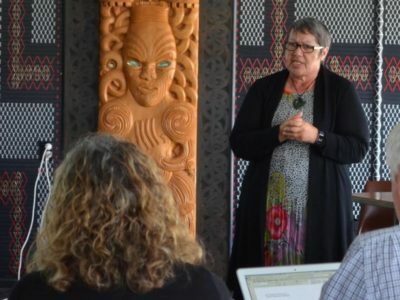 Bobbi Seymour’s ‘Manaaki’ course acknowledges the skills, knowledge and expertise that many of her students have from working on their own, or other, marae. Assessment is mainly demonstrated through completion of practical activities; however the required theoretical component needs to be completed also. Students choose which unit-based standards they will focus on, and are assessed in accordance with the guidelines laid out by NZQA. A half-year course, it is expected that students will complete at least 8-10 credits at Levels 2 and 3. With former students joining their teina to tautoku them, the Year 12 and 13 students prepared and served all the meals over the two days. The following Friday the students were back at the marae doing a thorough spring clean and inventory of items at the marae. “I felt that as one of the most regular users of the facilities, we should also be part of the maintenance and upkeep of Pukemokimoki as well’ explained Bobbie. 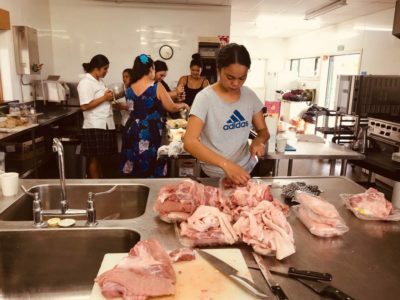 “We have since hosted a pōwhiri at school – where students were able to have a ‘first attempt’ at the preparation and presentation of a chosen dish: albeit on a much smaller scale than what we are working towards. This coming week we have the first major set of assessment tasks as the class works in the kitchen (at Pukemokimoki) to support the senior Te Reo and Kapahaka students run a wānanga for our Year 7 & 8 students. There will be approximately 140 – 160 students and teachers. The menu has been planned, the shopping list has been written up and the school freezers are full of food – we just have to find a friendly packhouse to provide the fruit to go with our kai. Our thanks and best wishes to the Manaaki class - based on our experience, the diners at the upcoming school hui are very lucky indeed. Tuia i te here tangata Listen! Listen! Listen! The Government review of Tomorrow’s Schools by the Independent Taskforce is completed. Their report: Our Schooling Futures, Stronger Together l Whiria Ngā Kura Tūātinitini has now been released for public consultation. Tēnā koutou katoa. We trust that the school year has started well for you, your students, and your whānau. We are making contact with all those schools, centres and institutions that share a space with Poutama Pounamu. Poutama Poutama Director Professor Mere Berryman, together with other taskforce members Bali Haque, Barbara Ala’alatoa, Professor John O’Neill, and Dr Kathy Wylie, are currently engaged in a round of public consultation meetings to gather reaction to the report and its recommendations. Those reactions from communities around the country will feed into a final report. The Tomorrow’s Schools report will have very significant implications for future educational policy and practice in Aotearoa. Stakeholder feedback on the report and its recommendations will be critical to inform Government decision-making. Your voice, your views and your experiences will be fundamental in shaping the thinking and decisions moving forward. Taskforce Chair Bali Haque is calling for ‘transformational change’ of the structure of our schooling system, and is arguing that "tinkering with the system … won’t work - careful and critical feedback from a broad cross-section of New Zealanders is essential." From what we are seeing in the media, and on social media, there seems to be a concerted effort from those who favour the status quo to push back on the recommendations. We encourage everyone to read the entire report and join in the submission process. Please take the time to respond online and attend one of the public meetings in your area. This is our opportunity to flex our educational leadership muscle! We have till April 7, 2019 to have our say. All the best people, go well out there, and please share this message with your colleagues and networks. An online survey is now open until 31 March for you to provide feedback on the key issues and recommendations in the report. Click here to have your say. Freepost postcards will also be available at the public consultation meetings for anyone who wants to briefly have their say on a recommendation or the full report. A free 0800 number for oral submissions is available to leave your thoughts on the future of our schooling system. Call 0800 FOR TSR (0800 367 877) to leave a message. Taskforce-led regional consultation meetings will take place from 14 February 2019. Details of the locations, dates and times of these meetings is available here. As a country, we are currently experiencing a time of critical reflection and self examination in education. The coalition government has initiated parallel processes of listening and co-construction to formulate and mandate change throughout the sector. Professor Mere Berryman, herself a member of the Tomorrow’s Schools Taskforce, reminds us that in seeking answers to today’s issues we should not ignore the lessons and evidence of the past. Research over the last twenty years has provided the evidence of what can really make the difference in our classrooms, schools and communities for Māori and for other minoritised students. 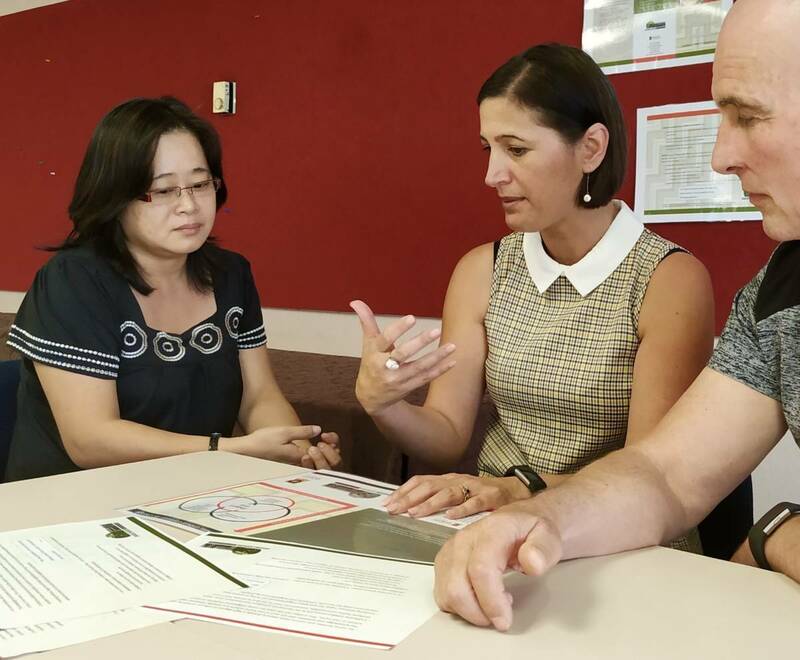 Here, she shares with school leaders and academics at Waikato University why there is a need for change and presents a research-based model to accelerate simultaneous success trajectories focused on wellbeing and belonging in schools. Having to leave our culture at the school gate to achieve in schools that marginalised and belittled our own cultural identity, has been the experience of generations of Māori students including myself. Regrettably, especially for Māori boys not prepared to compromise their cultural identity, many were forced to fit within a schooling system that held little promise for their future. I would suggest this was no mere accident. Assimilation is the systematic redefining of students’ identities, so that they are forced to fit into the culture of the majority group. The combined loss of the potential of these young people, over generations, has been enormously wasteful and continues to be costly for our country. 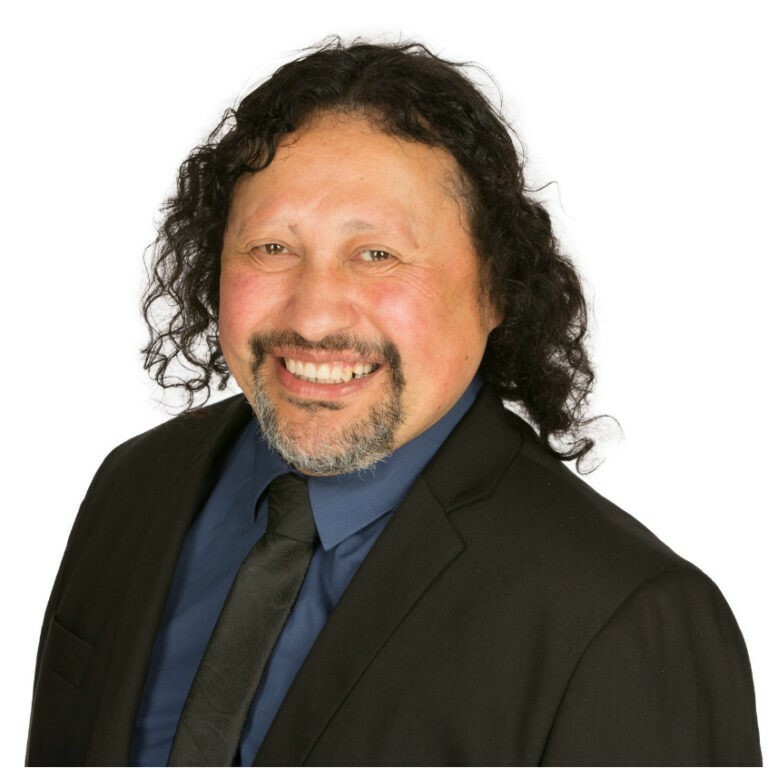 Rethinking and redefining education so that Māori students are able to receive education without having to compromise their own cultural identity, was finally to see the emergence of the Ka Hikitia school policy. First released in 2008 this policy direction, and the Education Review Office’s 2017 evaluation framework, aim to promote equity and excellence ‘as Māori’. These solutions have emerged over the last 20 years from Māori communities, classrooms and schools, and from the education system itself. Finally, educators in New Zealand’s schooling system have begun to modify the dominant power structures in education in search of students’ rights to the benefits from education promised to both Treaty partners under the Treaty of Waitangi. However, are we as a nation ready for this? Phase 3, the renewed iteration of Ka Hikitia with three priority statements, was released in January 2018 calling for sustained system-wide change, innovative community, iwi and Māori-led models of education provision and Māori students achieving at least on a par with the total population. At the same time, the New Zealand Schools Trustees Association (NZSTA) and the Office of the Children’s Commissioner (OCC), identified yet again, what Māori students told us in 2001. Alarmingly, this time, it is not only coming from Māori students; the voices of immigrants and refugees are also asking us to understand them and their whole world. Together, students speak of the ongoing racism they continue to face. Ongoing evidence of inequity for Māori is still stark. I wonder, will our refugee students become our next shameful statistic? While the change required is complex, we now have the evidence to show what works, we have built on learnings since Te Kotahitanga and we now know how to accelerate the difference and work seamlessly with primary schools. Alignment of coherent principles, theorising and practices, across schools, communities and society is essential. This will not be solved by a one-off, one-group programmatic approach; alignment and coherency is essential. 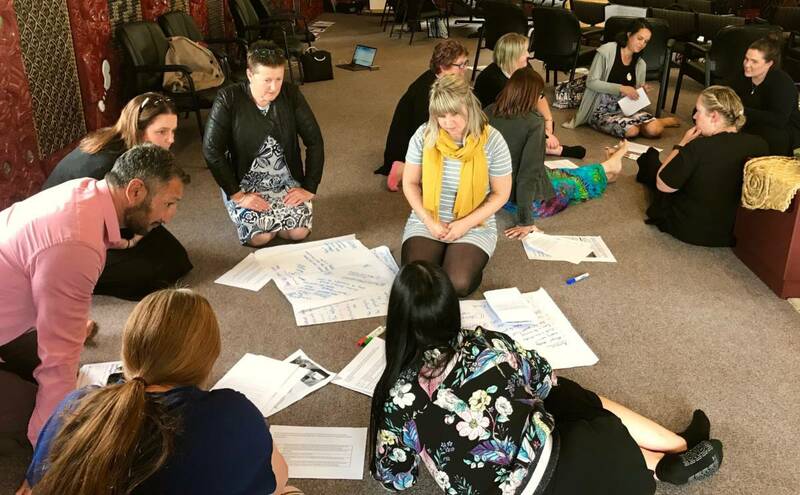 Poutama Pounamu have seen what can be achieved when school leaders understand and follow a theory of change that has been informed by New Zealand research. Together, with facilitated support, working systematically to reform education through across school and within school teachers has added immensely to these benefits. 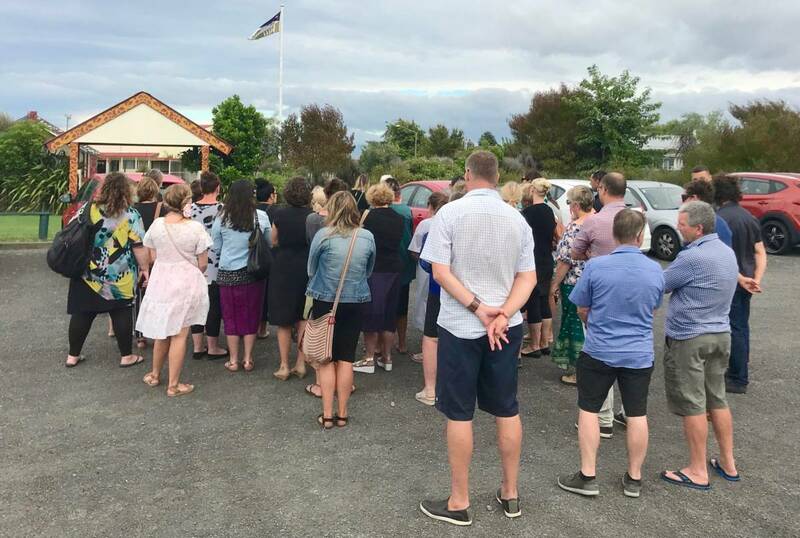 When Kaiwhakaako are also a part of the same critical learning and reform conversations, and they are spreading learning to new members from across the whole community, the effect is further spread and accelerated. 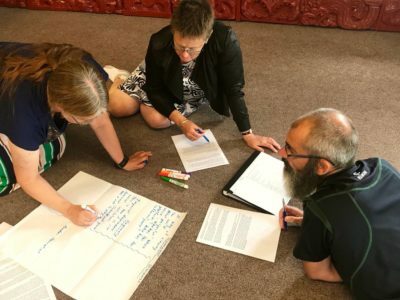 Challenging themselves to be agentic at a personal level has seen new understandings of the part they have played in supporting a system that’s actually been inequitable, particularly for Māori learners. School and community members who engage in this conscientisation can begin to ask critical questions of themselves and others about what needs to be done differently. Now that they understand how power and privilege are playing out, they can begin to engage in resistance. 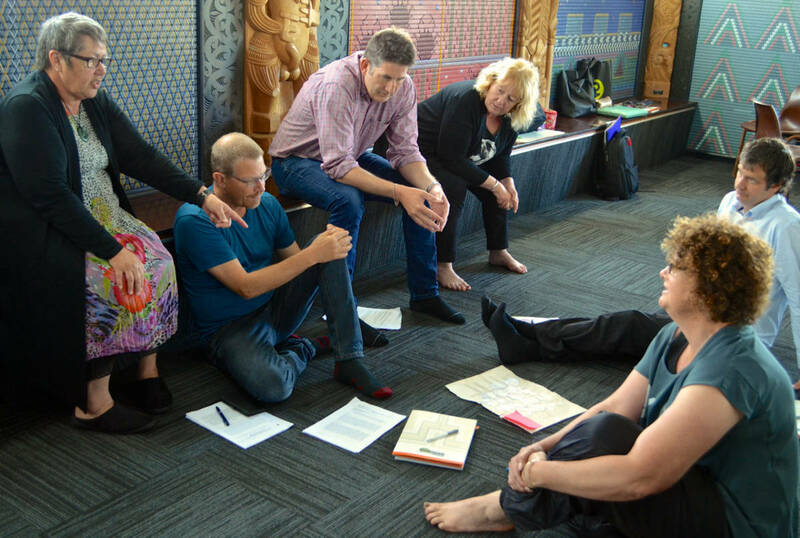 When we engage in new practices that focus more on equitable social reality for Māori learners, transformative praxis has begun. Rather than feel they must fit in Māori students can truly belong. As a nation, we must make the difference, our students are our future. We must all take joint-responsibility to engage in reforming education by relearning from the injustices of our collective past and being prepared to share power and work for reciprocal benefits. This must continue to occur within an iterative process that seeks to understand through the voices of the people themselves. It is only then can the change for social justice, finally begin to emerge. Kaiwhakaako is the term given to those who are leading their own, and others, learning in Poutama Pounamu’s Blended Learning initiative.